Stephanie Ubeda has over 16 years experience in selling real estate. 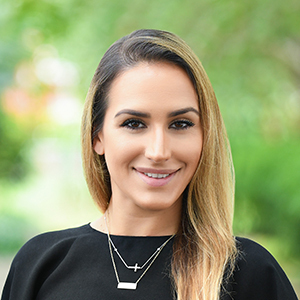 She started from the ground-up working and learning from some of South Florida’s top ranked realtors. She is well established in the industry and recognized by all her peers as a true professional. Stephanie has been with the Liz Hogan Group for the last 4 years. She is an invaluable member of the Group representing both Buyers and Sellers. She was an integral part of creating their dynamic and successful marketing platform including direct mail program, email advertising campaigns, and various social media platforms.